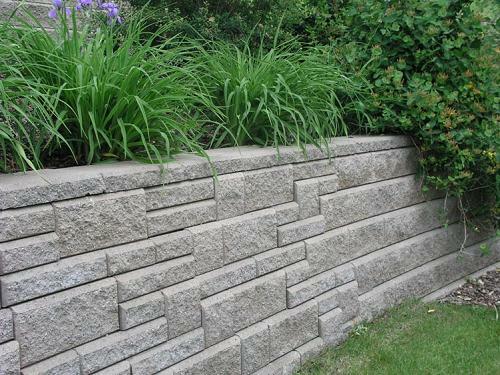 We are a proud distributor of the Allan Block segmented wall systems. We stock the AB Classic in the 4 colors below. 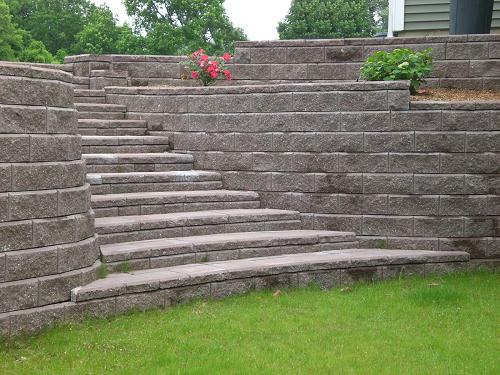 Bring in your slope problems and soil conditions, and we will provide an affordable solution using the Allan Block Wall System. 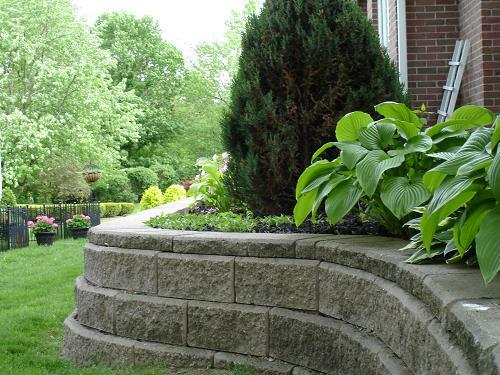 Whether your looking for a retaining wall, a seating wall, or just a garden wall, we can help you find a great American made product that is easy on the wallet. 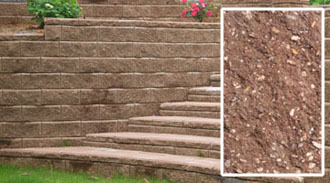 Allan Block is a versatile system that allows you to make a radius, create a stair case, or even a planter. The possibilities are endless. 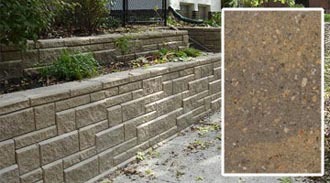 As with any retaining wall system, the prep work is key. If you think you would rather not slug 75 lb blocks around on your upcoming weekends ask us for a recommended contractor. A segmented wall that simulates the beauty of a natural wall. 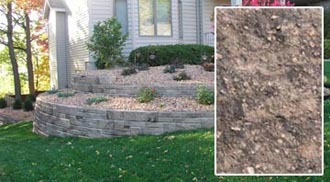 This system is tumbled to give it weathered soft edges. Available in 4 sizes for a unique patterned look. 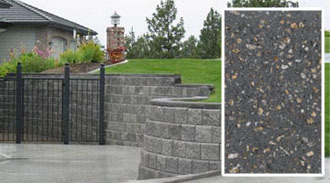 The stonewall by Ideal is an easy installing block with many options. It is available with a curved face, straight face, and also non-tumbled or tumbled.